Did you know that Huntsville is once again hosting the National Cyber Summit, a preeminent event aimed at protecting our nation from cyber threats to defense, healthcare, commerce, and the civilian population at large? Some of the speakers are renowned in the FBI, DOD, and NASA; commercial enterprises such as Google, IBM, and Honda; and multiple institutes of higher learning. One of the featured summit speakers is Geeks and Nerds’ very own Jake Schneider, Cyber Subject Matter Expert and Cyber Division Program Manager. 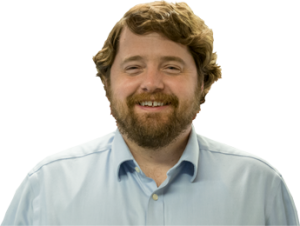 Jake has years of cybersecurity experience covering the vast array of cyber needs including red teaming, blue teaming, vulnerability research, reverse engineering, penetration testing, offensive and defensive capability development and cyber tool development. Jake will be speaking on Thursday, June 7 from 1:30-2:15 about Meltdown & Spectre, two hardware vulnerabilities that very well could be wreaking havoc on your system. Jake will demonstrate a proof of concept relatable to the audience and close with a recommendation for protecting against this class of bugs.